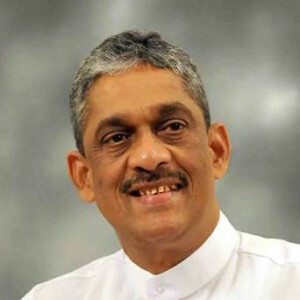 Field Marshall Sarath Fonseka continued to enjoy promotion after promotion, with his latest been a ministerial portfolio. Fonseka, who was appointed as a National List Parliamentarian from the United National Front this month, took oaths before President Maithripala Sirisena this evening as the Minister of Regional Development. Even though he was initially tipped to get the law and order portfolio, the move had sparked an outcry within government ranks, with several protesting against such a portfolio being given to Fonseka. Fonseka has been embroiled in several controversies including having an alleged hand in several attacks against media personnel, while he was Army Commander. The comedy, that is our democracy. Sigh! You lose, you stay home. You try again. More camps in every nook and corner of this island, perhaps. Gives a Hail Mary Pass to a future Presidential Candidate, who can lose the election and then be appointed as the President of the Country, after losing. Courts must toss this appointment out. SF will rise and rise not because he is a just man. But because Yahapalanaya, like God, works in mysterious ways. Wait for the day when the wicked rise and rise through mischief and more mischief. So ends the investigation into Lasantha’s murder? So much for Ranil and his commitment for democracy and freedom of the press. support the war crimes inquiry? He was “promoted” to defend Sirisena, who does not know if his eventual downfall will come through UNP sources or the other side. So the Gamaya packs both the UNP side and the Opposite side with men whom he thinks he can “trust” If Fonseka is given a position where he can have some sort of control over his formerly beloved “unit eka” together with the men and equipment he once had, then he will reduce the Rajapakse threat one by one. That was the way Lasantha, Raviraj, Ekneligoda and Thajudeen were done away with – the Gothabaya Doctrine, if you like. That will be a great relief to Aiyo Sirisena – who cannot trust anyone today and is even afraid of his own shadow – so that he can then bat on for a little longer. Mahinda,Gota,Basil,Sajin Vass Gonawardena,watch out.Here comes the Field Marshall.Unfortunately for you thugs and theives you can run but you simply cannot hide.Its simply pay back time. Before exulting one should know the subjects and functions coming under his purview. You do not need to.If you look at every minister has got ministry portfolios which they have no knowledge of.But the administration runs itself. They just have to sign the papers and do coordination work. You being watching lot of movies lately…Dingbat! SF once said if he was elected he would drag the clan and cronies all the way to Gall Face green. There is not much of difference between two bunch of war criminals. One fascist in uniform and another out of uniform. He dismisses concerns by international human rights groups about the conduct of his forces, saying that while civilian deaths are inevitable in war, relatively few non-combatants have died in the Sri Lankan conflict. Do you think this man can be a good minister, leader, democrat, …. when he harbours a majoritarian mindset? He also said Sri Lanka was a strong country. Strong country compared to USA, Hindia, Pakistan, China, Russia, ….. Israel, Europe, ….. ???? CT, as a responsible medium of journalism please note that Field Marshal is spelled with 01 “l” and not 2 as denoted above. Thought it was Yahapalanaya time. My mistake. Sarath Fonseka should have been made Minister of Law enforcement. He would have ensured everyone in the blacklist is confronted by the Law. That would also assure a suspecting public that the days of “negotiations” and striking deals behind the scenes would be over. Sarath Fonseka should have been made Minister of Law enforcement. – Justice & fairplay……..
OMG ! J & F must be joking……… It would be better to be given the Defence Ministry. What we see is not what we get……………. Sarath Fonseka was field marshal and given a job to fight LTTE and he did his job, in other words he carried out orders from the Government but lunies in the Government gave him bad orders, still his job is to carry out orders. MR & co put him in jail because he must have not agree everything blindly like some others did to keep their positions. So his promotions and posts are fine until proof he did something against army regulations to kill Tamils. He once told something about Tamil Nadu politicians but he may be correct. Why MR is crying now, he has to harvest whatever he cultivated. Cultivated Karma, killed people when ever he wanted, he looted country left to right, he can’t dump every thing on someone else head – there is a lot left in the list GOD keeping in his hand – enjoy modia enjoy, ordinary Singhalese should not be punished for your satanic acts. Sarath Fonseka did not settle everything you did to him – you have a lot ,enjoy.